Dr Shock is utterly biased when it comes to gaming. Especially when Call of Duty is used for research into the topic of possible negative or positive influences of exposure to violent games. 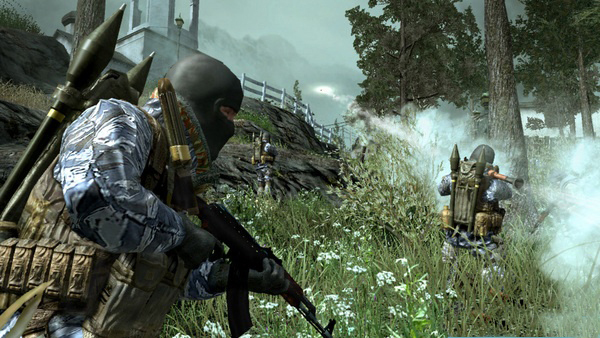 This recent research with the action game “Call of Duty” did not support any negative influence of gaming on prosocial behavior or civic engagement. On the contrary this research found some support for increased prosocial behavior and civic engagement in those playing action games especially when their parents were more technically savvy and involved in game play. So all parents should play with their kids, even action games. Probably the team oriented multiplayer options in many of these games increase more social behavior. The only drawback of this study is that it’s about correlation not causation and the sample size is somewhat small.